After clicking ‘Send’, a pop up box will appear letting you know Facebook will let you know the status of your application in 2 business days. You will find confirmation of your request in your Support Inbox. Not sure how to access the Support Inbox? Click the ‘question mark in a circle’ in the top right of the page and you’ll see Support Inbox toward the bottom. Click on that to open you inbox. What needs to be tagged now? I think the simplified language makes this easier to determine, pretty much everything you post because of a business relationship. Any content you post due to this business relationship you have, regardless of how you are getting compensated, must be posted using the Branded Content Tool. If you get money, goods, services, a commission, credits to use on a site, candy, some for of in-kind reciprocation, or even the all-so-exciting ‘exposure’ if the ‘exposure’ could be deemed to have ‘value’ must now be posted through the Branded Content Tool. Of course, this is Facebook after all. In the new policy, use of the Branded Content Tool must comply with the 5 stated parameters, most of which have been part of the policy for some time. What is new is the requirement to have consent to tag a Page. 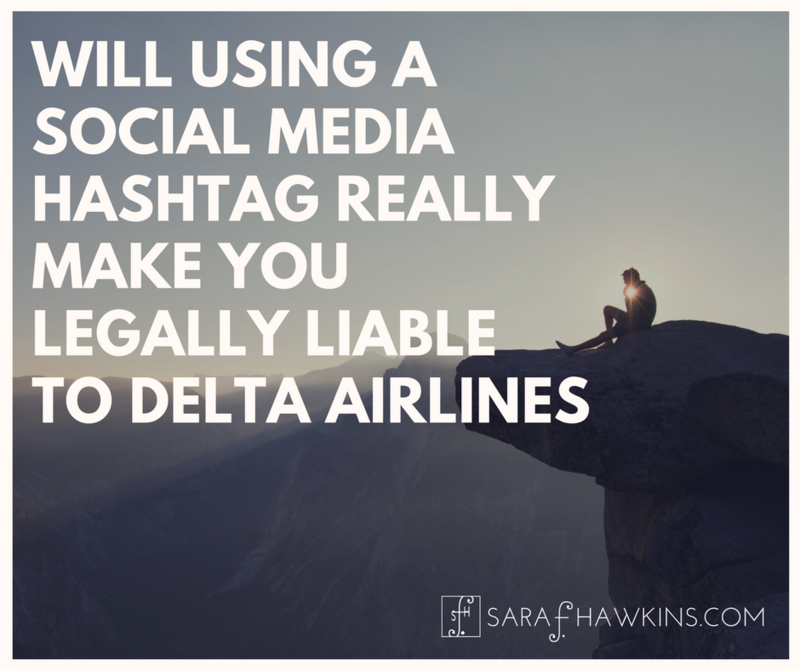 Tagging Pages – in the past, there was no affirmative obligation to have permission to tag a Page. Now, you must have permission to tag the page. This is something you would likely want to include in a contract or get in writing since you don’t want to deal with someone who files a complaint with Facebook saying you don’t have permission. In prior versions, logos, watermarks, and graphics were not allowed in the first three seconds of any video. Now, though, Facebook permits logos, watermarks, and graphic overlays throughout the entire video. Also, this feature has begun rolling out to Pages on iOS. Facebook says it will soon bring the feature to Android, too. 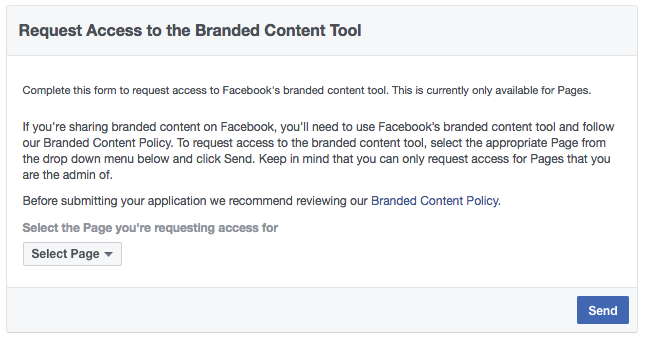 There is a significant change in how Facebook will enforce the policy. In the past, violating posts were flagged and removed. Now, Facebook will hide the post from the News Feed until you correct the violation. Once corrected, the post will be visible on the News Feed again. 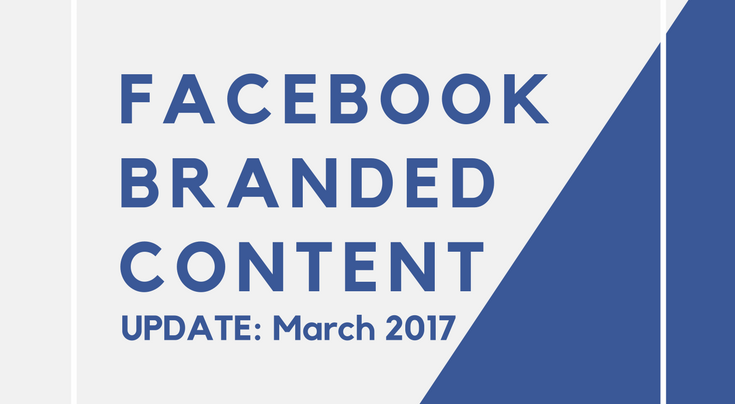 With the update, Facebook also changed how the post is designated when using the Branded Content Tool. 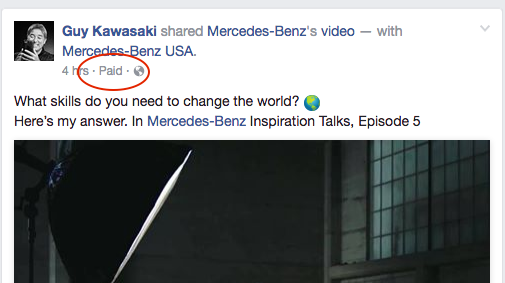 My friend, social media expert Peg Fitzpatrick, sent me a link to show me that the post will now indicate ‘Paid’, along with the brand that is tagged. You can see below where it shows ‘Paid’ in light grey next to the time and who can see the post. 5. Comply with all applicable laws and regulations, including by ensuring that you provide all necessary disclosures to people using Facebook, such as any disclosures needed to indicate the commercial nature of content posted by you. 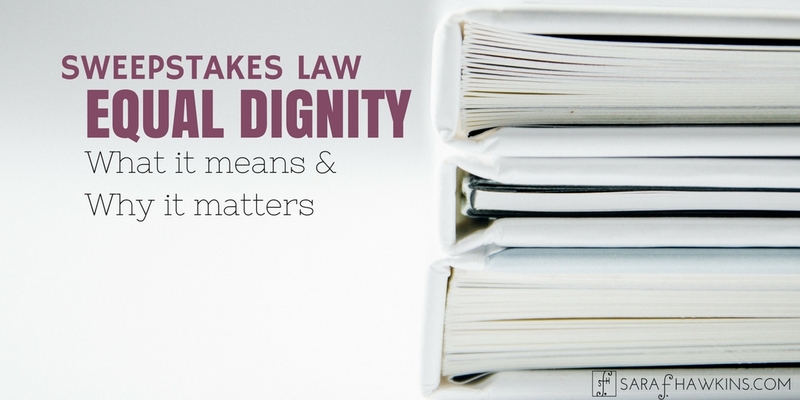 While the words are different, the requirement is the same as it has always been – you, not Facebook, are responsible for making the necessary disclosures. Good morning! 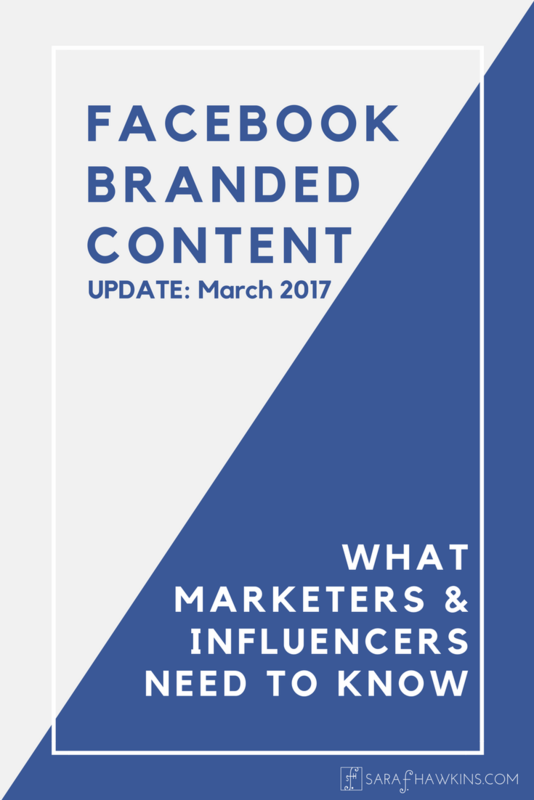 Are businesses now required to utilize the branded content tool to post and tag other businesses? In my case, I work for a print publication who also uploads our articles to our website and shares them via social media. If associated with a local business, we typically tag these organizations. Will every post we tag an associated business be hidden unless we go through the branded content tool? Thank you for your time! It’s unclear how Facebook may treat the situation where one business is just sharing information about another business on their Page. 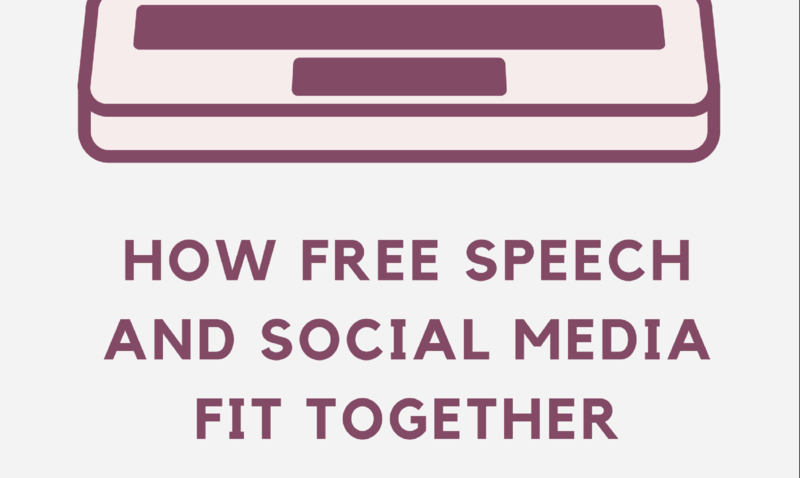 However, the algorithm for the Branded Content Tool will likely flag that post for review. Facebook is clear, though, that if there is a material or business relationship between the parties the BCT must be used. If you feel that is not an appropriate way to tag the content you should reach out to your Facebook representative, if you normally place ads on FB, or initiate contact through a help feature, to clarify your specific situation. Great re-cap and update, Sara! Thanks. I have a quick question. Facebook says they will allow you to edit posts that are flagged, but that has not been my experienced. I went to add the brand handshake to bring my sponsored post into compliance, and wasn’t given that option at all on the edit post screen. Have you had this same problem? My only resource was to delete the post (and all the interactions, unfortunately) and start over. 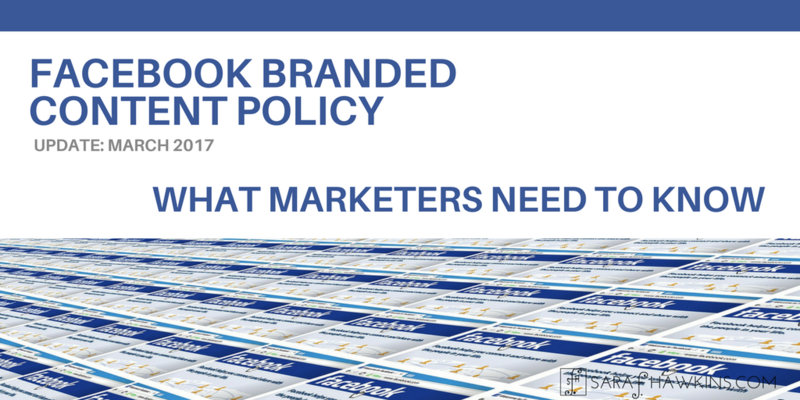 Facebook’s implementation of the Branded Content Policy has had a number of inconsistencies. Because individuals are charged with managing the review, while I’m sure they are attempting to apply their new rule consistently, that is not always the case. Unfortunately, use of Facebook is at their discretion. Great article. What if you are given a prize to give away and there are no other business relationship is that still considered branded content? 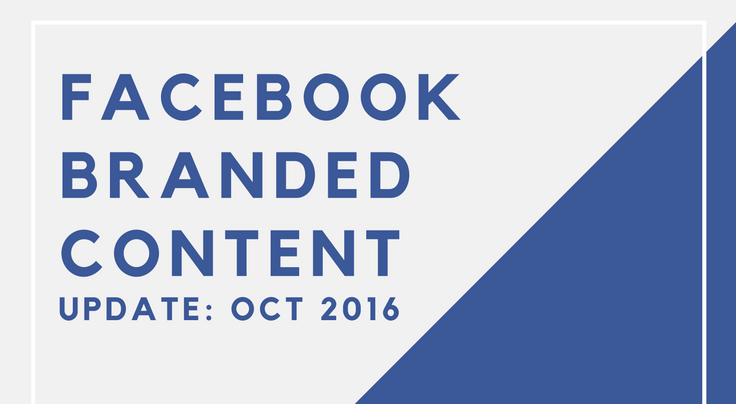 Facebook has a very broad definition of ‘branded content’ and often the algorithm can not tell if a third-party brand is or is not within that definition so you’re at the mercy of Facebook and whatever their default determination is for your post. If contacted for being in violation of not using the BCT, perhaps you can explain why you don’t need to use it in a sufficient way so the FB rep does not take down the post. I’ve just tripped over this while trying to upload a profile picture to my brand’s page! This isn’t in relation to another party, but that of our business itself, is a verified page and is being managed under the Business.Facebook.com site rather than my personal profile. No tagging was taking place – it was just changing the profile pic; have you had this experience too? Facebook has separate rules and guidelines that govern profile images (and now video). You may have hit a glitch in the upload or, if the image was prohibited, you should be able to find out why the image was flagged or disallowed. Verified pages must comply with specific guidelines for their profile images, but you’d have to discuss that with Facebook. Even then they may not know why they didn’t allow the upload.